It is critical to stay ahead of this ever-evolving curve in order to provide any home with the aesthetic appeal that it requires to turn heads. Let us take a quick look at what many industry professionals feel to be the predominant trends for 2015. One of the most pronounced changes is that homeowners are now seeking to use more vibrant colours when changing the scheme of a room. It is not uncommon to witness bright shades such as cerulean blue, orange or yellow within the decor of a space. Of course, these are often paired with furniture and other accessories that will complement the striking appeal of such an approach. Pastel colours have been on the rebound during the last few years and this is expected to continue throughout 2015. There are two main reasons for this observation. First, pastels will imbue any space with a sense of vibrancy that can be tough to achieve with more muted tones. Secondly, pastels are great within smaller locations. They will give the room the illusion of space. When combined with natural exterior light, this is a one-of-a-kind option that can produce more dramatic results than traditional hues such as beige or bone white. One of the other side of the coin, we have seen a number of designers preferring to use tones such as neutral grey. The main motivation behind this desire is the fact that grey is able to set an ideal backdrop for other colour schemes. Or, it can simply be used with tones such as brown, sienna or charcoal. Many modern homes have taken this approach. Even pastels can work wonders when placed upon a grey background. While faux finishes have been around for quite some time, 2015 has seen a "softer" approach when performing this artistic design. Muted edges and smooth transitions are now replacing the more stark "marble" patterns seen in the past. This effect can be enhanced by using colours that are less contrasting; any ridges will naturally be less pronounced. Another growing trend that has continued from the past few years is the use of matte finishes as a replacement for eggshell paints. This is mainly due to the ability for matte mixtures to offer homeowners a washable surface while not exhibiting the same sheen as eggshell. For walls with slight imperfections, this can be an excellent alternative. As many matte paints can now be used in areas with high humidity such as bathrooms, it is no wonder why this finish is a worthwhile alternative. 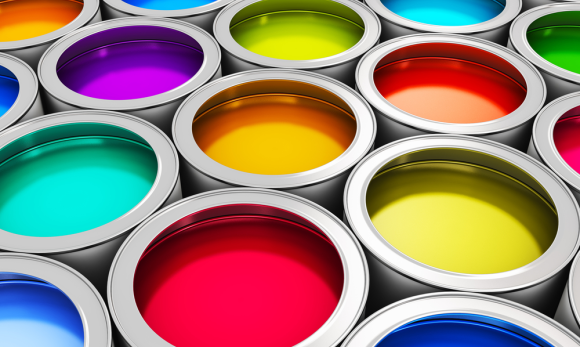 These are some of the latest trends within the 2015 painting and decorating industries. It will be interesting to see what the future may hold.